Carla Kelly wakes to find her two-day-old baby daughter’s cot empty. Susanne Dowling has been keeping a terrible secret following her fifth agonising miscarriage. But when at last she welcomes her new baby daughter into her life nothing else matters. They will both be safe as long as Susanne keeps her daughter close and confesses her lie to no one. Ever. Carla, a top model, launches a fierce national campaign to find her child – but the trail is cold. She receives threats and recriminations from strangers – she flaunted her pregnancy in the media, she cashed in on it, she deserves everything she gets – and, encouraged by well-meaning loved ones to move on, she begins to fall apart. But one letter Carla receives stands out from the rest. It offers support from a surprising quarter. And it sets in to motion a chain of events that opens wounds and exposes shocking secrets from Carla’s past that suggest what happened to her daughter was revenge a long time planned. 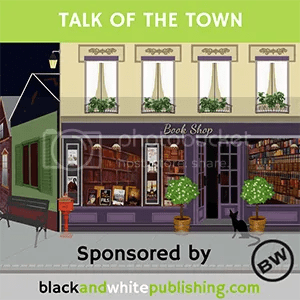 Firstly, many thanks to the publishers, Avon, for my first invitation to read via Netgalley. 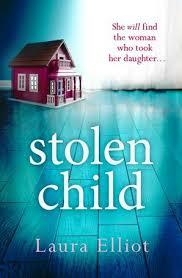 This book is what it says on the tin – a book about a stolen child and from the first couple of chapters, its clear this book is going to be full of heartbreak and it was. Spread over a fifteen year period and told in turn by Susanne, Carla and later Joy in the third person the story follows Susanne’s desperation for a child and how she eventually accomplishes this feat; Carla’s anguish and desperation to find her missing child and never letting go of hope and Joy; whose whole life has been a lie. Don’t go thinking I’ve just given away the whole plot, the story is told in a dual narrative so we know very early what exactly is going on and this really is one book where the dual narrative is needed to explain people’s actions. As time goes on the effects that the kidnapping has on both Susanne and Carla’s marriages and their states of mind is devastating – Susanne is already experiencing ‘whisperers’ at the start of the book giving the impression that she’s already very unhinged. This is one of those books where you know that one of the characters is completely in the wrong and can never justify what they’ve done but you still end up feeling sorry for them. I did wonder how beliveable the social services scene was and questioned if that is how it actually happens? I also thought it had predictable outcome but unsure of how realistic it felt – so many adjustments on all parts. The book is set in Ireland and I was grateful for reading on my Kindle as I had to look up some unusual Irish words eg burren, Garda Siochana and Gardai. Overall this is a good story but was a bit slow in the middle and lost pace; however it’s probably best have some tissues to hand!